Let our certified roofing contractor professionals take care of your flat roof installation needs. Call 480-226-4245 today for a free estimate in the Mesa, Chandler, Gilbert and surrounding areas. If you’re searching for reroofing experts in Mesa, Tempe, Scottsdale, Fountain Hills, Paradise Valley, Phoenix, Gilbert or Chandler, look no further. 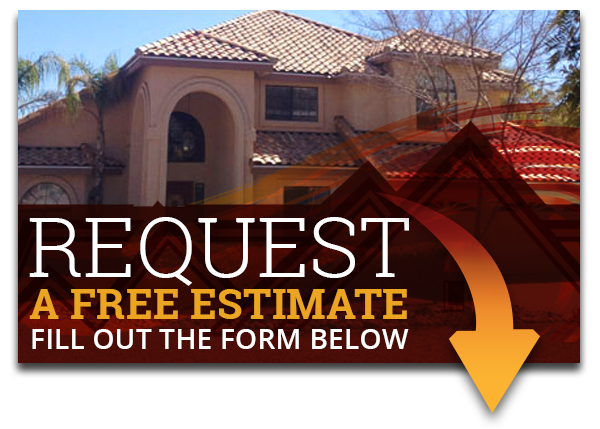 Express Roofing promises integrity in all of our work and excellent customer service. For flat roofs, one of our specializations is installing APP modified bitumen. 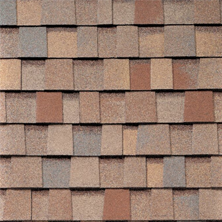 You can count on this being one of the best roofing materials in the industry. It has been around forever and is continuously used for commercial, educational, and government facilities. As all laps and seams are heat-welded, APP modified bitumen becomes one single membrane. Although any roofer can install this type of membrane, applicators must be well-versed and certified, as torches are used in the process. Our lead crew applicators are certified and focused on providing a high standard of service. Having Problems With Your Flat Roof? Certain flat roofs can develop problems with the acrylic coating. 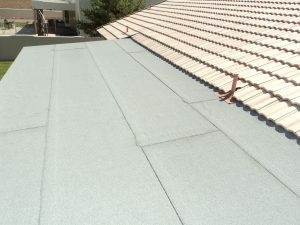 Roofs featuring sprayed polyurethane foam are covered with an exterior layer. This layer can be worn down over time, and if the foam underneath is exposed, it may lead to leaks. The most common maintenance problem with foam-based flat roofing is applying the acrylic coating in areas where it has degraded too far. We can help you strengthen the quality of your existing roof with foam roof restoration services. What are the Different Types of Modified Bitumen? For flat roofs in need of replacement, we choose to install heat-welded APP modified bitumen. The heat is applied at the seams, leaving them water-tight. The bitumen forms a uniform matrix with the thermoplastic polymer. The performance of the bitumen is enhanced as a result of this. It also increases its UV resistance as well as its flexibility at low temperatures. The APP modified bitumen rolls are always applied using a propane-fueled torch. Applicators utilize the heat to soften the modified bitumen on the bottom part of the roll. The roll’s bottom area of the thermoplastic polymer becomes adhesive. The adhesive flows upon the substrate and then cools down to form a waterproof adhesive bond. Our roofing technicians can get this installation done professionally and promptly, saving you the stress of having to worry about whether the job is in the right hands. There is also another type of APP called peel and stick, or self-adhering. This is a lesser type of APP used by contractors. There is no certification needed to perform this application, and there are no torches used, which means no need for higher limits of liability insurance. What Are the Benefits of Roofing Membranes? Roofing membranes are a type of system used on nearly flat roofs to prevent leaks and to help water drain from the roof, instead of pooling. These membranes are commonly made of synthetic rubber, thermoplastic, or a form of bitumen. 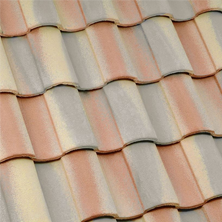 This type of roofing is most common on commercial buildings, although its residential use has grown in recent years. These membranes help to prevent the pooling of water in certain areas of the roof, as areas where water commonly gathers will become weaker. A roofing membrane not only provides an additional layer of protection against the elements, but it also keeps water from stagnating in a single spot for a long period of time. Particularly useful in homes without slanted roofs, roofing membranes are cost-effective options to expand the lifespan of your roof. 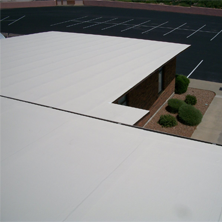 All of our technicians have extensive experience in flat roof installations and foam roof restoration. When you trust us with your project, you can expect the job to be done right the first time. Call us at 480-226-4245 and we will set up a convenient time for you to learn more about your options.